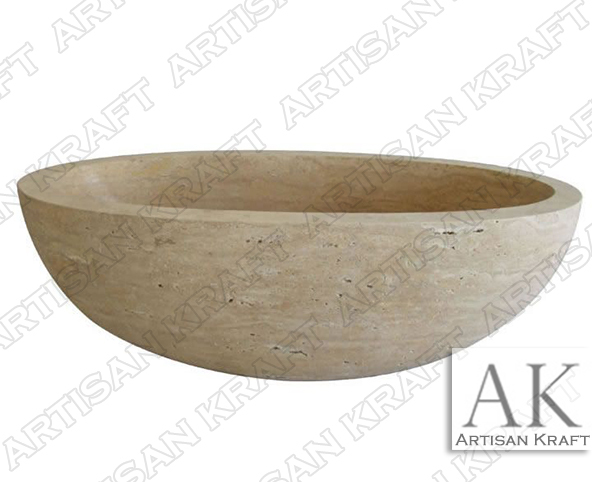 Double ended oval stone tub carved from a textured natural stone called Sunshine Travertine. The tub design portrays a rugged, outdoorsy sense with its grooves and pits. Travertine tubs pits are filled. Stone bathtubs delivered to all US states including Michigan (MI) tubs and IN (Indiana) stone bathtubs.